We can all agree that there’s nothing better than a long soak in the bath after a hard day at work. That is – unless your bathroom is dull, drab and out of date. If this is the case, a makeover should definitely be on the cards for 2019! 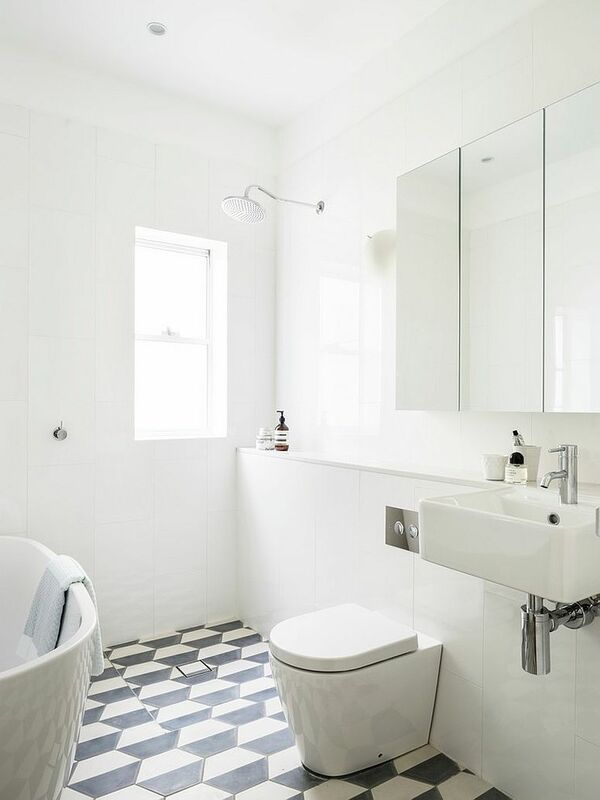 For many of us, the idea of redesigning a bathroom can often be a daunting task, however, with these bathroom ideas it needn’t be. Regardless of your favoured decorating style, if you’re planning to refresh your bathroom this year, this quick guide is definitely worth a read. From savvy space-saving storage ideas to statement baths, you’re bound to be inspired with these bathroom trends for 2019. You can easily create an urban oasis in your bathroom with these ideas. Why not opt for geo-patterned tiles on both the walls and the floors to help create a bold, modern feel. Team these stylish geo-patterned tiles with sleek black taps and accessories and arrange plenty of planters with a great selection of steam-loving plants. Are you feeling bold in 2019? Why not give your bathroom a bit of much-needed character by adding a bright splash of colour? You may have hated the trend first time round, however, coloured basins and baths are coming back into fashion (think 1970’s avocado). This will help add luxury and drama to this small space. Ready to Jump on board the Crittall Comeback? The Crittall-style is destined to be one of the hottest trends for 2019. The grid design is sleek and minimalist and provides a great urban feel that design enthusiasts are bound to love. 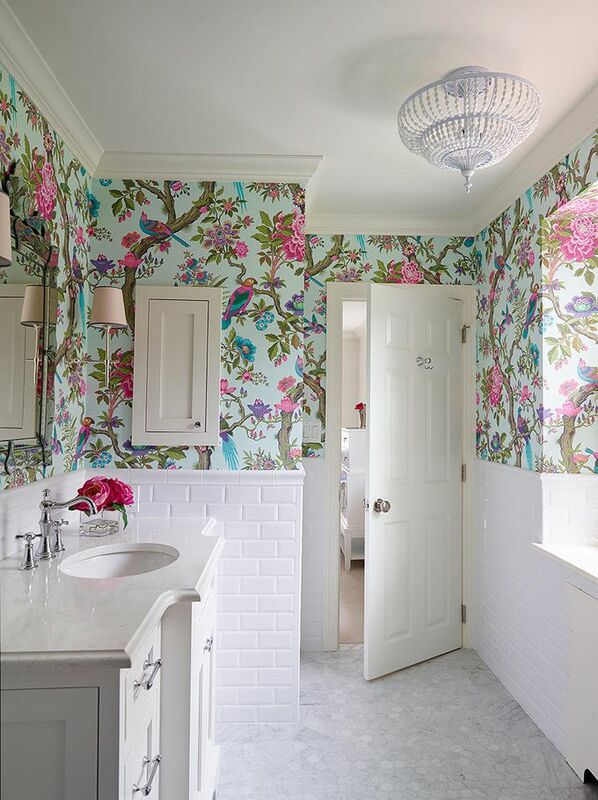 You may be surprised by the design idea; however, wallpapering is far cheaper than tiling. It is also a quick and easy way to add stunning colour. One thing to remember, it’s important that you avoid papering directly behind your bath or sink. If you’re looking to make your bathroom space more minimal, all-over white certainly does the trick! Also, adding colourful accents like towels and rugs is a great way to make the space more inviting. If you’re not a fan of countertop clutter, you will love these storage tips. Utilising cute wicker baskets is a great way to ensure towels remain organised and out of the way. They are both fashionable and functional. One of the easiest ways to add a touch of luxury to any bathroom is by adding a heated towel rail. Replacing an old radiator with a heated towel rail is now extremely popular and it’s easy to see why. Offering both functionality and a stunning element of style within your bathroom, this is a handy upgrade for any bathroom. With a plethora of design options, from sleek and modern examples to more classic designs, there is something to suit all tastes. Just think, you will easily be able to say goodbye to that horrible moment when you step out of the shower and are greeted with a cold, unwelcoming towel. Online radiator retailers like Trade Radiators stock a fantastic range of heated towel rails.